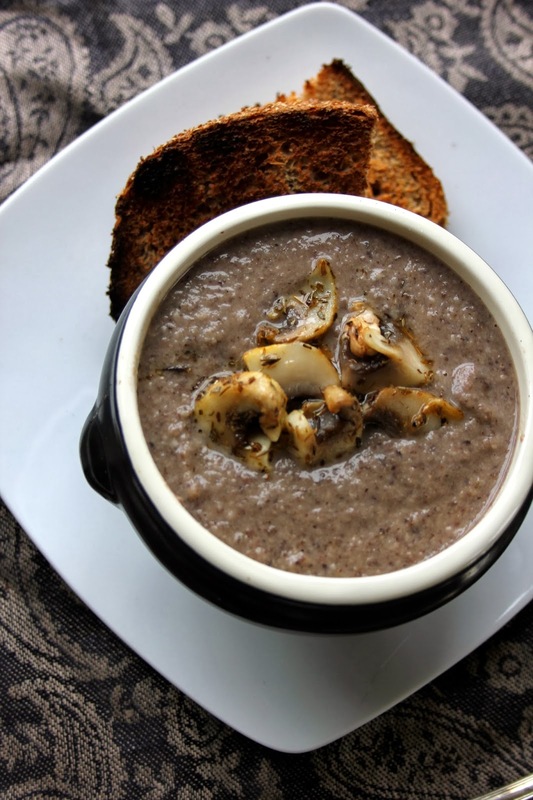 Black Bean Mushroom Soup. Hearty & Comforting. The very first time I tried mushroom soup it came from a tin, and unsurprisingly, it was repulsive. I couldn’t fathom why people would want to eat this stuff, but despite my unequivocal feelings on the matter, the tinned soup aisle was full of this stuff! Inconceivable. It was the best damn soup I’d ever had. Fresh, homemade soup is always a winner, especially when it’s at a local pub. But you know what’s even better? If you throw some black beans in there for added protein and texture. Now this is the best damn soup you’ve ever had. Heat the olive oil in a medium-sized pot. Fry the garlic and onions until they have become translucid, for about five minutes on moderately high heat. Add the dried thyme and mushrooms. Sweat for another five minutes, until they are more or less evenly browned. 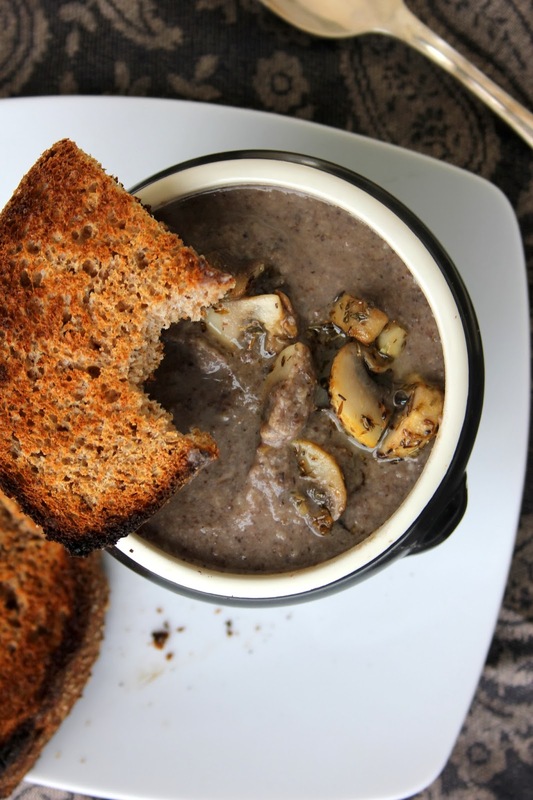 Pour over the boiled water, drop in the stock cube and beans, and gently simmer for 20 minutes, until the mushrooms have gone soft. Serve steaming hot with a couple of slices of freshly toasted sourdough bread and a generous slab of vegan butter. Which meal do you absolutely love now but used to hate? 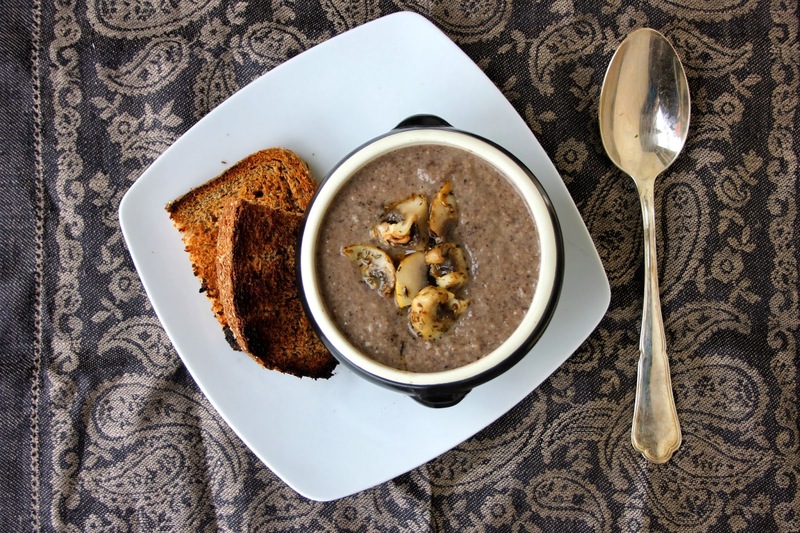 I don't think I've ever had mushroom soup. Whenever I see it out or pre-made it always has cream in. 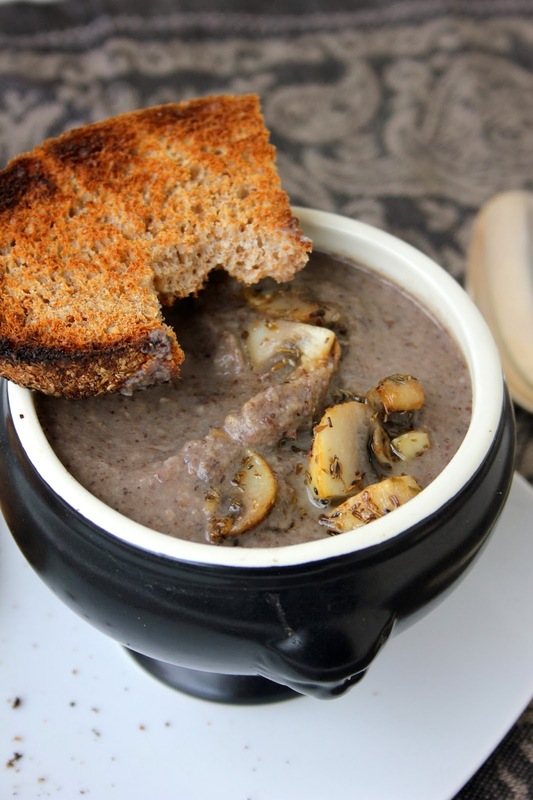 I love thick beany soups like this one. I kind of stumbled upon your blog and I love it! This soup is genius and delicious! 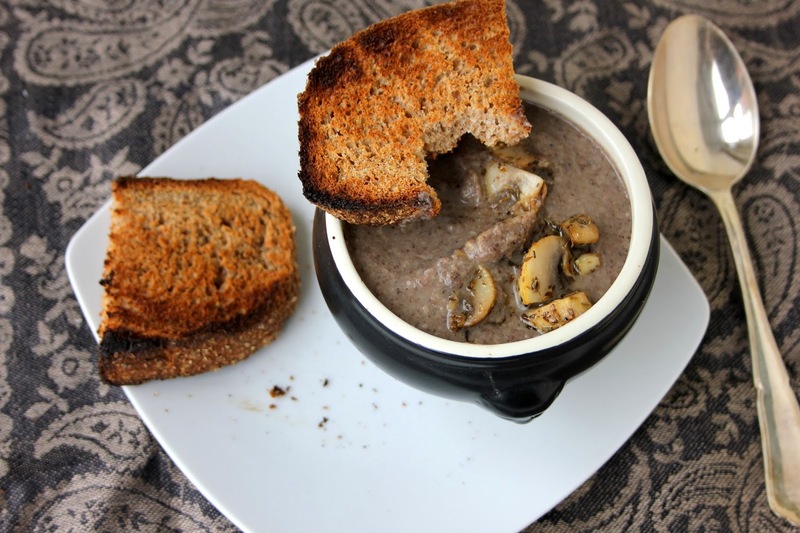 Bean soups, blended or chunky, are my new favourite thing to make this winter. Expect a few more recipes of those here! Two things – beans are one of the ingredients but not in the directions. Stock is in the ingredients list but in the directions you use a cube. Please explain. Thank you, I've corrected the directions now. Actually I do mention the stock cube in the ingredients list and the directions – I think maybe you saw 'cube' and read it as 'cup' instead.